OF GREYGARTH WHO DIED MAY 23rd 1880. AGED 72 YEARS. where thine honour dwelleth PSALM XXVI – 8.
WHO DIED SEPTEMBER 13TH 1851 AGED 4 MONTHS. 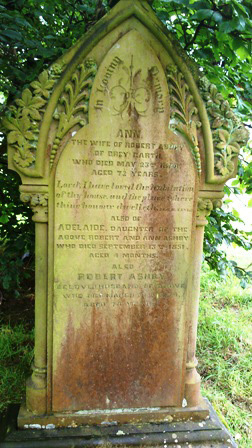 WHO DIED MARCH 29TH 1889 AGED 74 YEARS.